Up until that time Ruth had experienced one tragedy after another from your hand. She must have had many moments of doubt. But here you give her favor above all her peers. 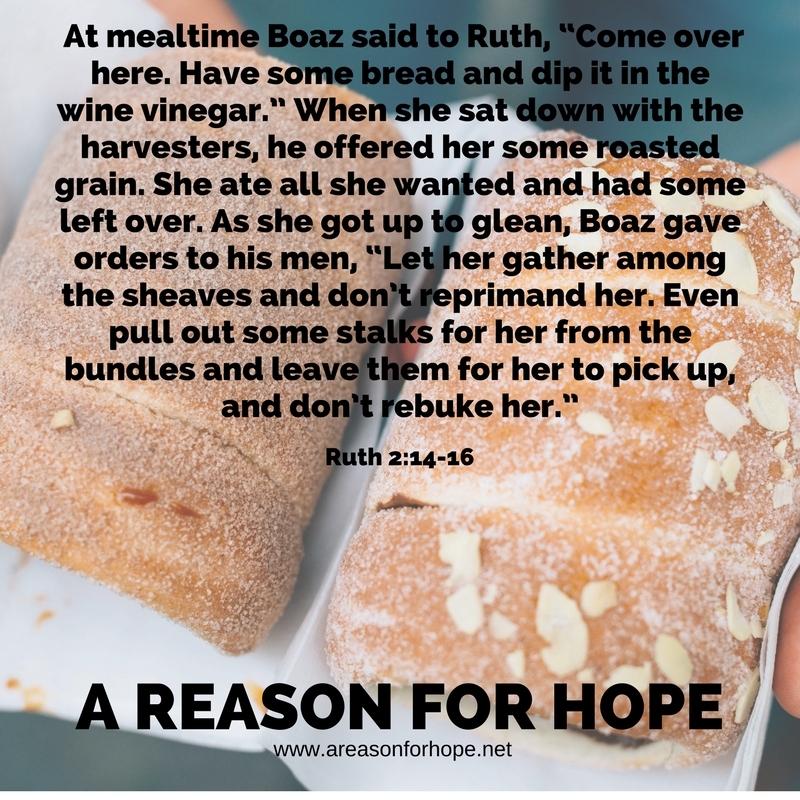 Boaz treated her differently than all the other poor women gleaning in his fields. Her cup was overflowing. I'm sure she felt your mercy and grace from his gifts. She must have had holy wonder as she received protection and grain in abundance. I have holy wonder too when I think of how you have favored me. I've received tragedy from your hand but I have also received great blessings. Of all people, I deserve it the least. But in mercy you have given me plenty. Thank you for the blessings you give me though my "Boazes." When I forget and get grumpy, bring me back to realizing how many blessings I actually receive from your hand. Some blessings are just around the corner. We only need to learn to wait with a thankful heart.